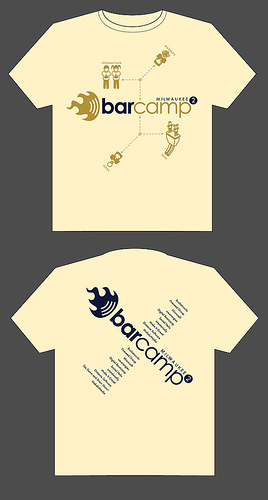 As of this week we have a month until BarCampMilwaukee2 happens, and things are pretty much on schedule. There is one big change of note though, it will not be held at Bucketworks. Bucketworks moved into their new home just a few months ago, and they still aren’t settled. While it would have been a great venue for the event, we just couldn’t make it happen in time. A lot of people pitched in to help get Bucketworks ready, and I personally appreciate all of the effort, and hope people don’t feel it was wasted. The concept of Bucketworks (a physical wiki) is a great one, and Bucketworks will continue, we just can’t pull off having BarCampMilwaukee2 there. That said, Bucketworks is still our venue sponsor and did find a new location! There are some photos and a video of the space, and we’ll have more details when they are available. So it is happening, there is no doubt about that. We just moved it. Just like those people who move your cheese. Sort of. Posted on Tuesday, September 11th, 2007 at 7:00 am. Subscribe to the comments feed. Both comments and pings are currently closed. Post on your own blog.